Microbrewery Festa though don’t expect all small breweries. A late announcement here as I forget to post it earlier. Mea culpa. 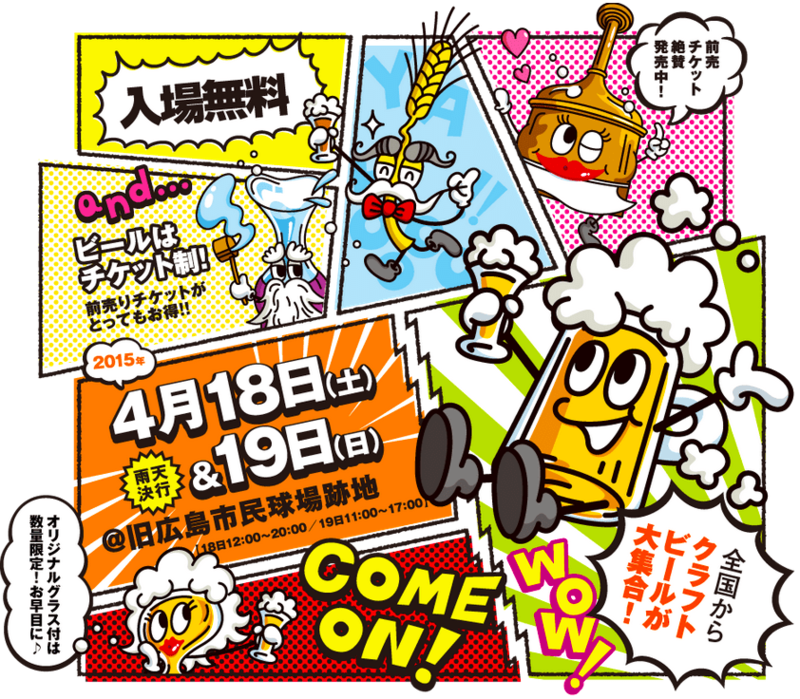 But the 8th Annual Microbrewery Festa in Hiroshima is going to be held from April 18th to April 19th. The venue is pretty spectacular as the festival is going to be held at the old Hiroshima baseball stadium, across from the Atomic Bomb Dome – talk about spectacular views with great history. Microbrewery Festa starts at 12:00 on Saturday 18th April until 20:00 and at 11:00 on Sunday 19th April until 17:00 to allow the drunken revellers time to recover before work on Monday. Tickets vary in price depending on if you want a glass or plastic glass, or if you want five beers or ten beers or if you buy them in advance. There will also be live music from various local bands and also plenty of food supplied by local restaurants. Most importantly, entrance to the 8th Annual Microbrewery Festa is FREE. Tickets can also be purchased at Japan Craft Beer Cafe here or Golden Garden here. The closest station to the old Hiroshima baseball ground is Genbaku Dome Mae on the Hiroden tram line. It’s about a two-minute walk.